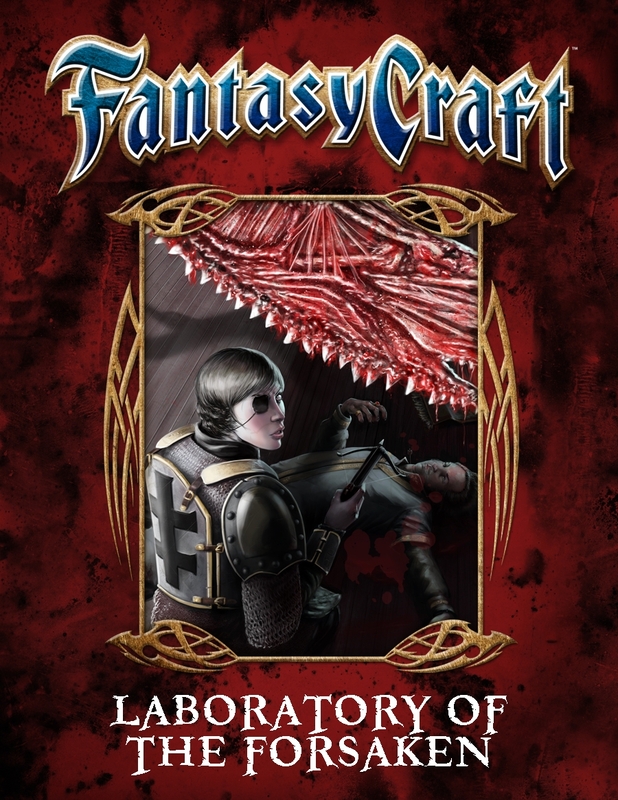 Learn more about Laboratory of the Forsaken here. Purchase Laboratory of the Forsaken here. Find other Fantasy Craft products here. The following interview was conducted between Roleplayers Chronicle Editor-in-Chief Aaron T. Huss, denoted by the prefix RPC, and freelancer David L. Pulver and his work for Crafty Games – Fantasy Craft, denoted by the prefix DP. The interview was conducted via Skype messenger. RPC: Welcome everyone to another A Word in Edgewise. Today we are speaking with freelancer David Pulver. David, can you please start by introducing yourself and giving us a look at your publishing portfolio? DP: Hi Aaron. Thank you for having me. I’m a Canadian author and game designer. I started gaming in 1978 and my first published work was in 1989. This was GURPS Ultra-Tech for Steve Jackson Games. Since then I’ve written 60+ books and a lot of articles for a wide variety of companies ranging from defunct ones like TSR and Guardians of Order to ongoing concerns like Steve Jackson Games and Mongoose. My best known game designs may be the Big Eyes Small Mouth system (co-written with Mark MacKinnon) and Transhuman Space, and my work on GURPS. RPC: I saw your name last night on the latest issue of Pyramid. Are you a frequent contributor for GURPS? DP: Right! I have a monthly column in SJ Games’ Pyramid magazine called Eidetic Memory where I write about GURPS. I still have a number of GURPS projects ongoing including a revamp of GURPS Vehicles, called Vehicle Design, that is about to be finished. (Big book, 200,000 words…) I am also working on number of projects for Crafty Games for Fantasy Craft. RPC: What is Eidetic Memory? DP: It’s the name of an advantage in GURPS system, but it refers to the fact that I’ve run GURPS for a very long time, so these articles are often drawn from memories of my own campaign. RPC: What projects are you working on, that you can speak about, for Fantasy Craft? DP: I’m working on a couple of projects involving the Realm setting that was introduced in Time of High Adventure supplement. One that I can talk about is Laboratory of the Forsaken, an adventure for Fantasy Craft and the Realm. Though like all Realm settings it is designed for easy porting into other campaign worlds. 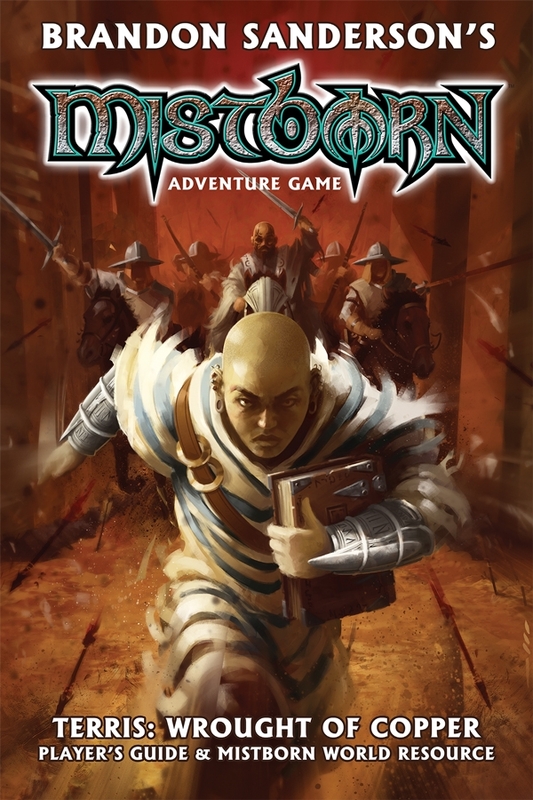 RPC: Is this a lengthy, scripted adventure or a campaign setting within Realm? DP: This is a scripted adventure. It is about 30+ pages long. RPC: Are you able to give us a general overview of the adventure? RPC: What draws you to Fantasy Craft? Or did Crafty Games seek you out to write an adventure? DP: Fantasy Craft is a very interesting d20 derived system based on Spy Craft. I first became familiar with Spy Craft some years ago while researching d20 rules for my d20 Mecha game. I’m always interested in freelance work, and Crafty Games asked if I’d like to write for them. I was eager to try working with their system. Patrick and Alex at Crafty have been great people to work with. So far I’ve mostly been doing Fantasy Craft work, but hope to do some writing for Spycraft as well in future. RPC: How many Fantasy Craft projects are you working on? DP: I’ve worked on two so far, though one may end up being a multi-part release. RPC: How often do you write fantasy compared to sci-fi or something involving technology? DP: I think about 25% of my work is fantasy. I run fantasy games regularly myself, but have written fewer straight fantasy projects. Laboratory of the Forsaken will be only the 2nd dungeon adventure i’ve ever done and the first for a d20-derived system. DP: It’s sometimes hard to get interested in something totally vanilla as so much good work has already been done in that area. I like horror and dark fantasy – I did Abydos, a city of undead for GURPS – but am not wedded to it. My last Pyramid article was a dungeon adventure, actually – with cavemen and dinosaurs. Not very dark! RPC: I prefer dark fantasy and fantasy horror over vanilla fantasy too. I saw a bit about the caveman adventure in the Pyramid magazine. Was this fantasy-like or a little comedic? RPC: Did you come up with the concept? Also, did you come up with the concept for Laboratory of the Forsaken? DP: Yes and yes. Crafty Games have been very good in encouraging me to develop their Realm setting and letting me be creative. RPC: What is it about the Realm setting you like the most? DP: I enjoy the fact that there is no obvious good vs. evil conflict. Instead the conflict is between the Church and the Circle, sort of religion and magical science. But the Church is not evil and the Circle is not good (and often out of control). I also like that the Realm has very little racism. In a fantasy sense, I mean. Orcs and dragons and the like may be a bit barbaric but they are not enemy races. So that lets me tell stories that involve some real issues, like religion vs. science and racial tensions, and so on. RPC: You stated that Laboratory of the Forsaken has elements of dark fantasy and horror in it. Is this something you added to the adventure or is it inherent in the Realm setting? DP: They are not innate to the Realm setting, but they have come up in it before. It is stonger in this particular adventure, and something that I added. Indeed, the adventure starts out as a “haunted mansion” exploration. RPC: Are you onboard to do more work with the Realm setting? RPC: In terms of publishing, have you ever created your own setting? DP: I created my own settings and sold them to publishers – Transhuman Space is an example – but have yet to do a self-published creator owned setting. I am working on a few projects that may come to the fore, however. RPC: What about you, as a writer, truly shines within these settings? DP: I think I’m known for doing a lot of research and putting a great deal of detail into the material, with a high fidelity to whatever genre I’m working on. I entered gaming as a fan primaril of written science fiction, and I believe I bring some of that sensibility to my work. I’m also trained as a historian, and often do a lot of historical research to underpin my fantasy settings. RPC: That’s very specific research! DP: In a recent GURPS project for Pyramid, for a science fiction issue, I rsearched the hstiory of USAF and Russian small arms designed for use in space. Did you know the russians actually built two “space guns” and actually cararied them on some flights in the 70s? I wanted this as a starting point for some fictional US near future space weaponry. RPC: I did not know that! Do you ever get a chance to write fiction and not just gaming material? DP: Recently I was resarching obscure nuclear weapon designs – cobalt salted doomsday weapons and so on. And so-called 4th generation nuclear bombs with exotic effects like shaped plasma waves (similar to Casaba howitzer).That was for GURPS Vehicle Design I would really like to do more fiction. I have an unpublished novel and a few stories I am still working on. SJ Games published a short story of mine in the recent Reign of Steel expansion book. And I co-authored a novella with Steve Jackson, Thera Awakening, several years ago. RPC: Does any of the research you do for your gaming material inspire you to write particular fiction pieces? DP: Yes, definitely. One cyberpunk game led me to write a cyberpunk novel, which I am hoping to sell at some point. RPC: As a freelancer, I have an important question to ask. RPC: What gaming publication are you most proud of? DP: Hmm. I’m pretty happy with the work I recently did (Lab of the Forsaken) but I think my favorite work is probably Transhuman Space. RPC: What gaming publication do you wish you could rewrite? Either to expand on it or to change how you originally designed it? RPC: To expand or change? RPC: To wrap things up… if there is one thing you’d like everyone to know about you as a freelancer, what would that be? DP: I’d be tempted to say “I’m looking for work” but really, I’m a gamer and I enjoy what I’m doing. I wanted to design games since I was 13, and I’m honored to be still doing it in my 40s. RPC: That’s all I have for today. Is there anything you’d like to add, websites to mention, or projects you’d like to plug? I’d like to thank David Pulver for taking some time to speak with us about Laboratory of the Forsaken and some of his other work.